What is something that would make a cheap, local second-hand bookshop even better? I would say, the knowledge that the proceeds from the purchase of your new reads are going to a great, charitable cause. 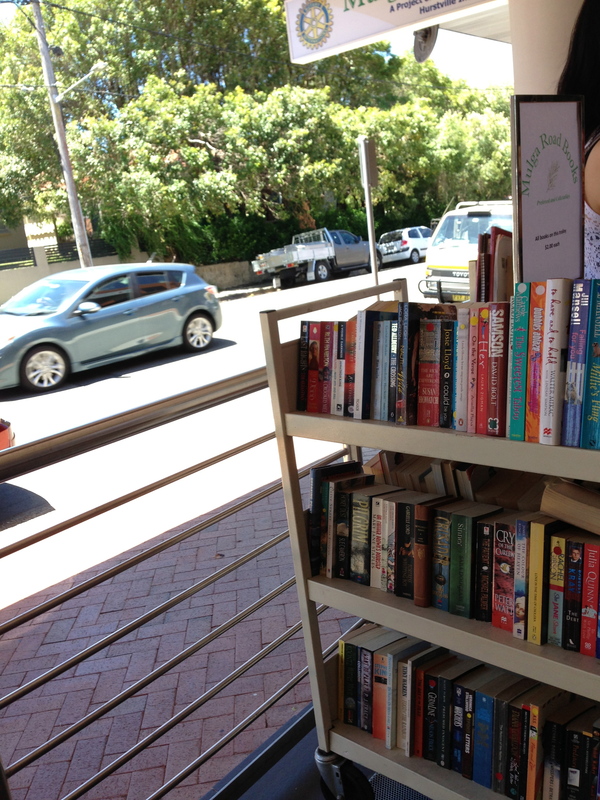 On this note, allow me to introduce you to the Hurstville Rotary Club's second-hand bookshop on Mulga Road in the picturesque suburb of Oatley. The many books can be noticed right from the pretty Mulga Road. 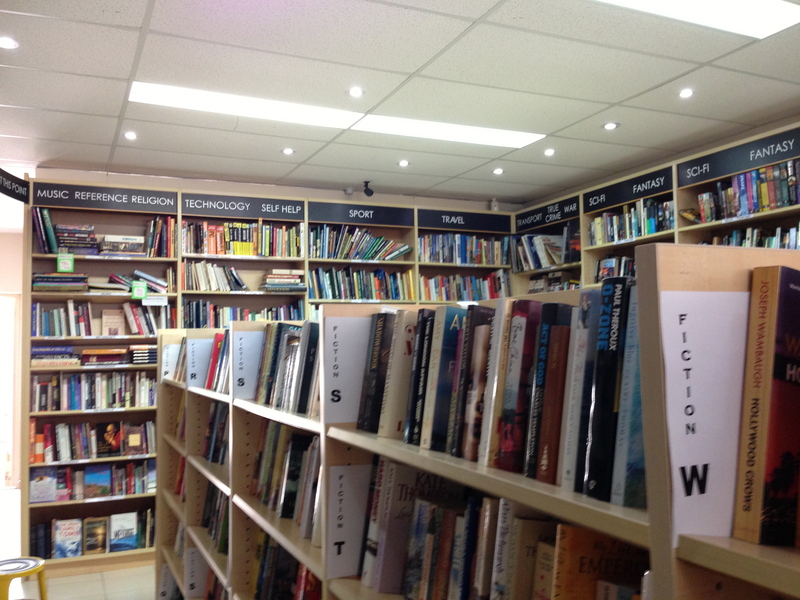 Before telling you more about this adorable and incredibly welcoming bookshop, I'll give you a bit of background about the Rotary Club, and of where your money will be providing assistance. Firstly, the Rotary Club is an international community services organisation with the motto "Service above self". They have a Future Vision plan, the goals of which include achieving peace and resolutions to conflicts, and funding the provision of education, sanitised water, and healthcare to communities around the world. When you purchase one or more of the wonderful books on offer in the Rotary Club's Oately-based book-store, your money will help support local, national and international projects. When looking at the pathway of your donations on a local level, you will find that it will go towards helping places like St. George Hospital, as well as nursing homes in Oatley and other suburbs. On a national level, one of the organisations that is supported is the Royal Flying Doctor Service, and internationally, you are contributing to things like the 'End Polio Now' project in several third-world countries. The bookshop from the footpath out the front. Now, let's take a look at this book-shop. 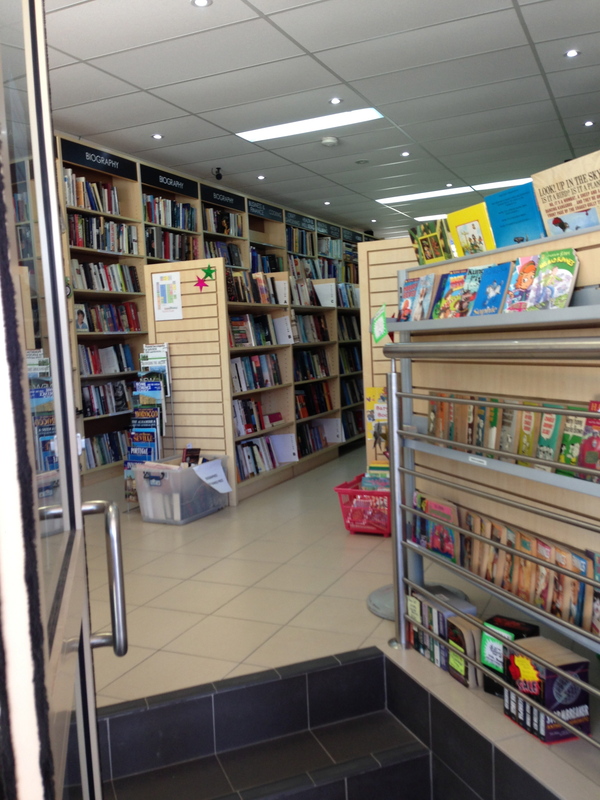 This bookshop is a major project of the Hurstville Rotary Club, and can be found upon the pretty Mulga Road in the peaceful, green suburb of Oatley. This area in itself would make for a lovely visit - there are spacious parks, tasty, decorative cafes, and cute shops where you are likely to score yourself a cool new something - namely in this article, the Mulga Road Bookshop. This bookshop has a very extensive collection of books - so no matter what type of read you are in the mood for, I am pretty sure you will find something to suit. This collection of kindly donated books floods the aisles, shelves, and bookcases that comprise the shop. Each one of these books is waiting to be taken to a new home to be read and loved. 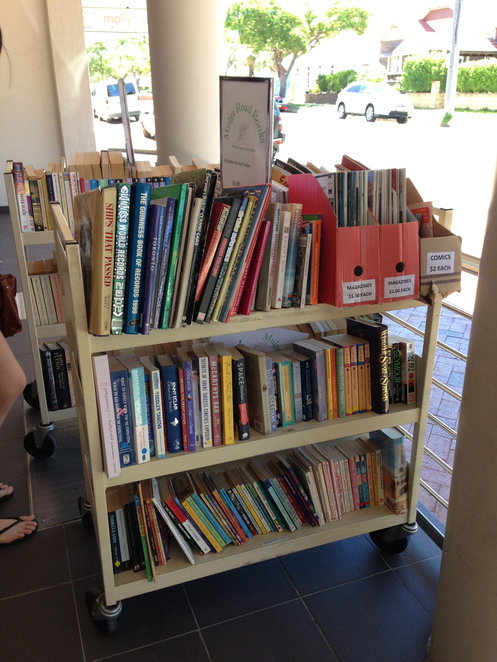 You will get the in-person concept of just how many books this store has upon arriving as there are shelves even flooding out onto the veranda next to Mulga Road. Long aisles and shelves full of well-organised books. 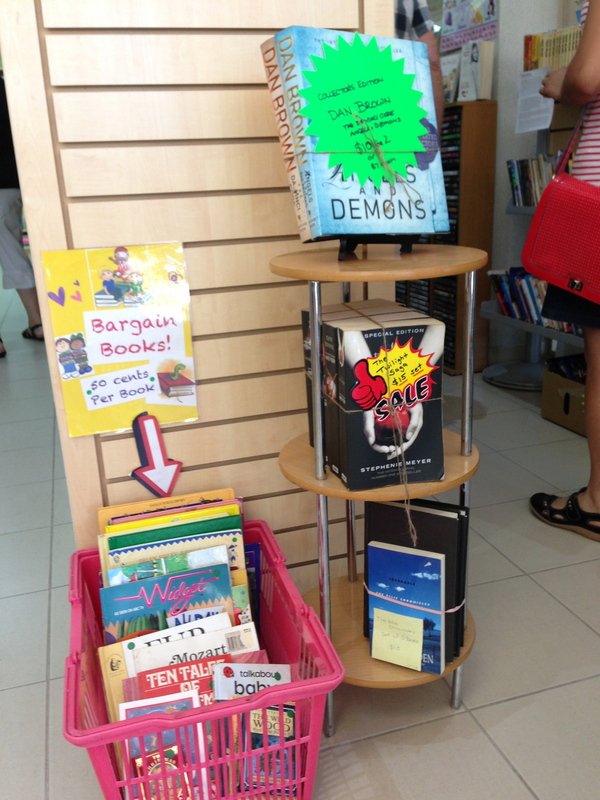 There is an expansive range of fiction, non-fiction, and children's books. These have all recently been catalogued and rearranged in the shop in a neat and very orderly fashion. There are labels of the overarching categories of the books on top of bookcases. Furthermore the sub-categories of each of these are labelled across the shelves. This makes it very easy for you to find the genre and even the specific type of book you may be after, or to simply just browse for a new read in the area that most interests you. In fact I'd say this is more convenient than some other second-hand book stores that present you with tables, shelves, or boxes of randomly mixed books for you to sort through in hope of finding what you may be after. 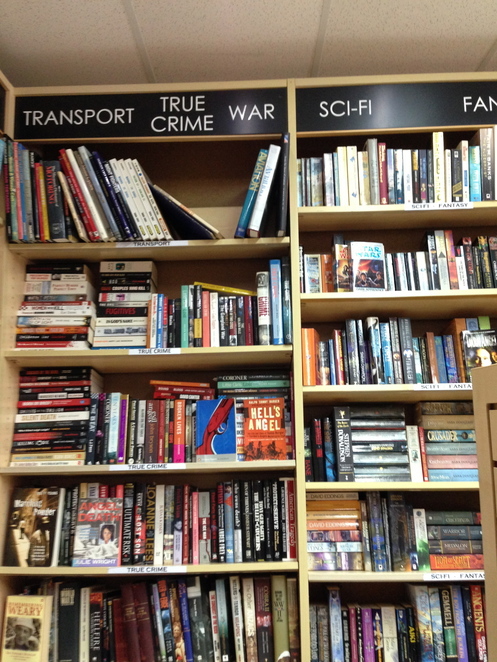 For example the 'transport', 'true crime', and 'war' genres of books are easily identified in this shop. Fiction ranges from fantasy to romance, including the popular Twilight series. On another note, if book series such as Twilight are complete, the store tends to compile them into a good-value package - this might be of interest to collectors of such series, or might become a good gift idea. The large non-fiction range includes philosophy books, travel books, and a handful of textbooks that may be beneficial to school and university students. There are also quite a lot of fun and educational books for children. 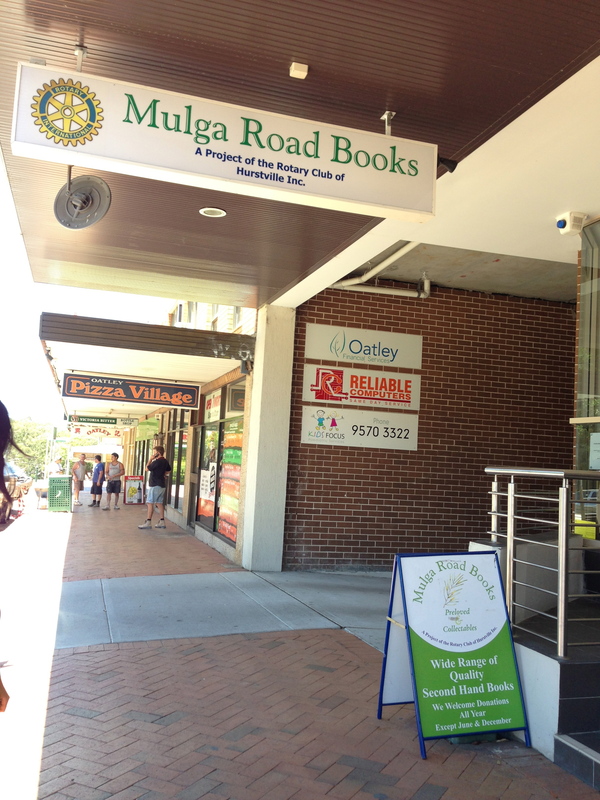 I think it is in fact safe to say, that Mulga Road books will have something for people of all ages so why not make a family trip down to Oatley, and check out this bookshop together? Some of the extra bargain books and sets. In my trip to Mulga Road Books, I spoke to the director and staff of this project. They were really friendly, and explained to me that everybody who works for the bookshop - whether it be for the electronic management, cataloguing the books, or assisting customers - are all volunteers. I think that it is excellent that this shop has brought together several people who are enthusiastic about community service and about helping others. 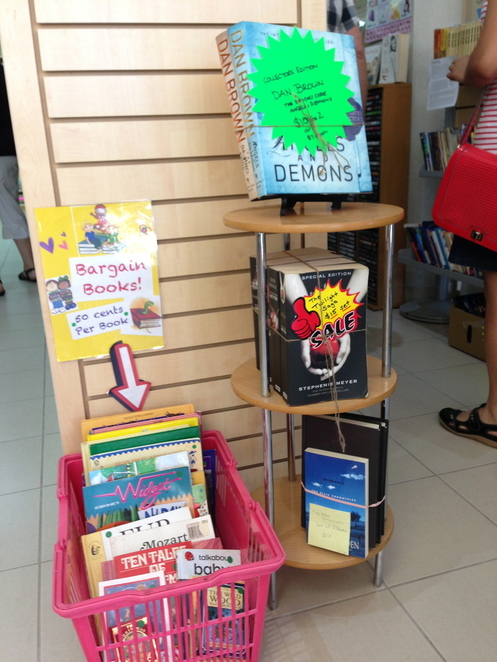 One thing I feel that I should reiterate in regard to this book-store is that it is cheap. There are some prices starting at 50c, many floating around a few dollars, and the top prices reaching to an average of $20. That is, with the exception of perhaps a few collectibles and substantive non-fiction books such as the textbooks. Another thing to reiterate is that there really is a huge collection of books that are well organised, making it easy for you to narrow your search down to the genre you are interested in. Some of the collectible books. Finally, and most importantly, remember that by purchasing and taking home a new book to read and love, you will be supporting the Rotary Club. In turn, you will be helping out disadvantaged members of society. You will also help improve the services and development of several communities in Australia and around the world. So, I highly recommend that you take a trip to Oately, enjoy all that the suburb has to offer, and be sure to include a visit to this wonderful second-hand bookshop while you are there. Oatley is most conveniently reached by car, however it has a train station. This is not the most frequent train around, so consider consulting the timetable first. The station is a pleasant 15-20 minute walk away from Mulga Road. 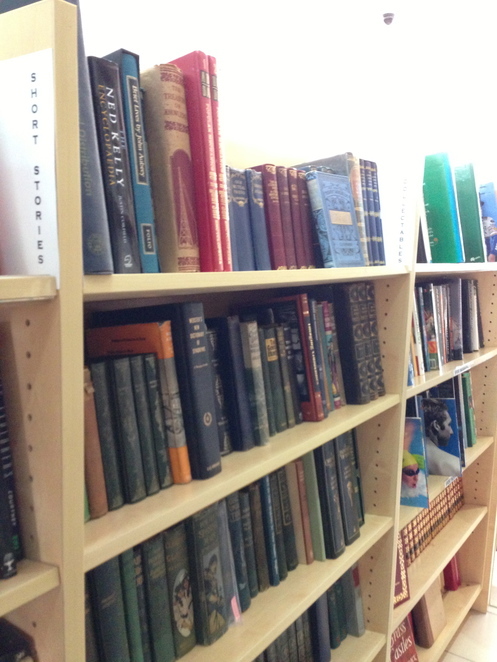 Be sure to tell friends and others who are interested in second-hand books about this store. Why? New reads, and helping others. When: Monday-Friday 9am-5pm, Saturday 9am-3pm. For a second hand book shop, everything is laid out really well. It looks like a proper 'first hand' shop. Good article, I just wanted to specify that the book shop is probably not more than 10 minutes away from the Oatley train station. Thank you for the comments, and further info! I forgot to mention, that you are very welcome to contact the director on (61) 0417 763 785 or send an email to rotarcap@gmail.com if you have any queries!